If your data center has a major server relocation project coming up, it is likely to over-tax your staff and resources. Deployments consume many hours of paid professional time and expose your staff and equipment to avoidable risks. “Professionals from a server relocation company, unlike most data center staff, migrate data centers daily and may even execute several moves in a single day. That makes them experts on knowing what to expect,” explains Faris. Data center relocation companies already have protocols developed for efficient migrations. For example, they know that they will have time to label components while the servers spin down. Your data center’s insurance policy covers day-to-day routine ops, but does it cover the liability of an employee getting in an accident while moving one of your servers in his or her car? Professional data center relocation companies will have insurance to cover the risks of their deployment exercise from start to finish. Injuries reported on workers’ compensation claims cause an average of nine days away from work, says the Bureau of Labor and Statistics. Data center relocation companies train their employees to avoid injuries. Most businesses have just enough staff to cover their data center needs. Your day-to-day operations can suffer if the people responsible for those operations are distracted by a data center move. Contracting a data center relocation company allows your staff to stay focused and free of prioritization conflicts. In this scenario, their involvement is typically limited to answering mover questions and giving them direction. What Do Professional Data Center Moving Companies Do? Professional data center moving companies organize, label, protect, and track everything they move so that the process proceeds smoothly from removal, transport, and installation. This requires extensive planning, packaging, labeling, and know-how. Just as professional server moving companies judiciously label all items for proper identification at their destination, they map out the layout of server cabinets and, within cabinets, the destination rack elevations for each component of the cabinet. Properly mapped and labelled racks and components ensure efficient repopulation. Insurance covers damaged or lost equipment, but losses affect premiums and waste valuable time and effort. Packaging and caution during the moving process takes less time than a trip down to the hardware store or IT shop. IT equipment needs special protection from static, shock, physical vibrations, drops, physical blows, and moisture. Pros should know which items need specific types of protection and the best methods for achieving it. In addition, professional data center movers understand the importance of checking warranties on IT equipment before moving it. Some equipment warranties may require specific conditions, such as relocation only by approved personnel or an advanced relocation notification. Pros should verify which pieces of equipment might have conditional warranties before pulling them from a server cabinet. Not every data center relocation company has the equipment or training to do the job safely and efficiently, so choosing the right one matters. In fact, a lot of regular moving companies market themselves as having data center relocation-specific expertise, when they really don’t. For example, they may not use purposefully designed server lifts, and they may improvise by pulling heavy equipment with pure muscle work or traditional rigging methods. Before you sign a contract, ask them for specifics about their data center moving experience. Find out what they do differently in a data center move and get multiple references to call. If they do not have or rent server lifts, insist that they do or use yours as a loaner to avoid accidents with your equipment during depopulations and repopulations. They should be insured, but you don’t want an injury in your data center and you certainly don’t want to add “server replacement,” “data recovery,” or “insurance claim” to your to-do list. The lift will save them time on server removal and installation, reducing the risk of an accident on your watch. If your data center has a server lift, your daily operations probably already involve regular server migration. Your staff may already have experience with modest deployments. They should already be using a lift that enables them to install/remove servers, position them, and transport them—the three essential functions of a data center lift—on their own. But, how big is the data center? How quickly does it need to be depopulated? Will a server lift be needed at the new location before they finish using the one at the old location? If by answering these questions you realize that the number of server lifts you have is great for day-to-day operations, but insufficient for this migration project, you might need to consider buying or temporarily renting additional server lifts. Arm your staff with enough assisted lifting devices to handle the weight of the equipment and the scale of the migration. Your data center staff may already uninstall servers and disassemble racks, cabinets, cable trays, and even raised floors for routine maintenance. As long as a relocation does not require complex migration protocols outside their normal routine, you’ll know that they can successfully complete a move, with the right amount of planning and equipment. Train your staff to enable them to efficiently and safely move heavy equipment with a server lift. Insist that they use the lift even when handling lightweight servers. Without a lift, and especially under a time crunch, dealing with any rack-mounted equipment by hand is tricky and potentially very dangerous. Likewise train them on OSHA’s specifications for manual lifting, because they’ll likely move items other than IT equipment. Have them use proper attire such as good work gloves; closed, hard-toed shoes; and no loose clothing. Insist on scheduled breaks for water, food, and rest to ensure that they don’t burn out and hurt themselves, the equipment, or others. Once the racks are depopulated, all your equipment is packaged up, and everything is ready to be moved to the new location, use professional movers. Even if you used your own staff to get to this point, they shouldn’t be asked to transport everything to the new facility. 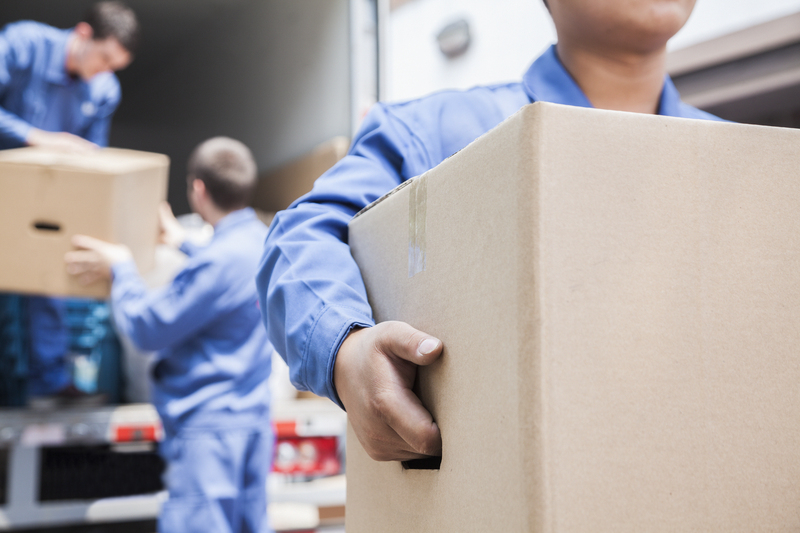 Movers are highly trained, insured, and experienced at rigging and moving from one location to the next. Let them do what they do best. Never subject your techs to work which they are not trained to do, nor are in proper physical condition to do that work safely. Whether you plan your move yourself or with a data center relocation company, you must streamline your data center’s chain of custody and security protocols. Data center migrations expose equipment, data, and staff to situations that can result in their damage or permanent loss. When you expose expensive equipment full of invaluable data to theft, misplacement, drops, bumps, and bangs, you place the company’s assets, the stockholders’ security, and your professional reputation on the line. Security and continuity begin with planning, and you should involve yourself in that process. Data centers often overlook the physical logistics, he says. And, when dealing with sensitive electronic equipment – especially servers – the truck must be air-ride equipped no matter how short the trip. You need to protect your equipment, infrastructure, and staff. Most data center employees spend relatively little time migrating entire banks of servers. When moving a single server here and there, they might sometimes ignore routine safety procedures. However, when facing the rigorous demands of a big data center migration, safety protocols are absolutely critical. 1. Know Proper Lift Procedures. 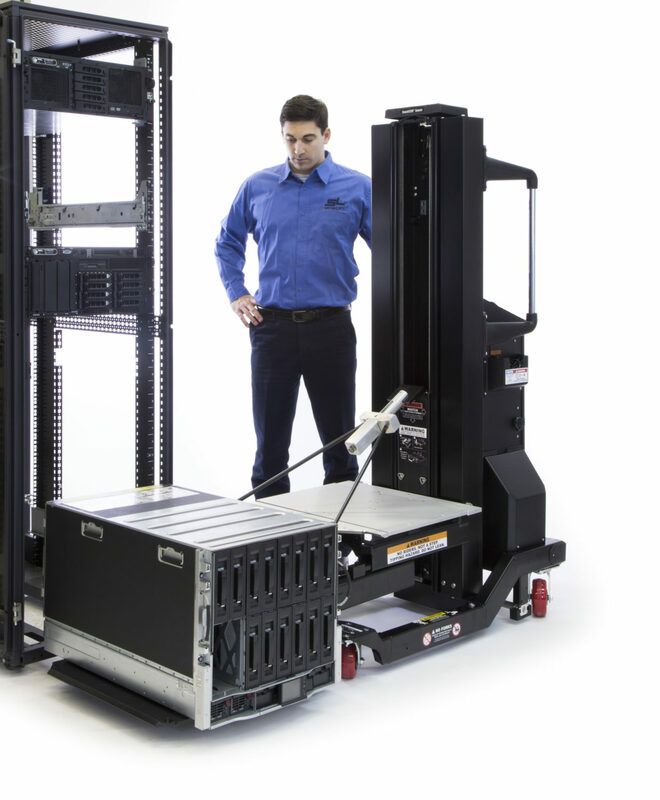 Lifting, moving, and carrying heavy servers and other IT equipment should be done with a server lift. Make sure that you train staff on the importance of using an assisted lifting device. Even when lifting items under 50 lbs. (23 kg), employees should have proper training and understand how to lift safely. 2. Invest in Supplies and Equipment. Professional movers use back support belts and assisted lifting devices. Your employees should too. As part of their safety training, they should understand how they help and how to properly use them. 3. Keep Walking Areas Clear. When a data center migration begins, things get a bit chaotic. Have someone walk rounds daily to ensure obstacle-free walkways. Falls accounted for 25% of fatal work-related injuries, throughout the U.S., according to the National Census of Fatal Occupational Injuries in 2016. Falls, slips, and trips accounted for 19% of the nonfatal injuries, according to the Bureau of Labor Statistics. If you have a data center move on the horizon, hopefully criteria in this post will help you plan appropriately, whether you are performing the move using your own staff or a professional data center relocation company. Either way, ensure that you have enough server lifts on hand for all involved persons, and train everyone who will cross the data center threshold. Show your supervisors that you value the safety and efficiency of everyone who enters your data center as much as, if not more than, the data itself. Thanks to Mark Evanko from Bruns-Pak for his help in contributing to this article. SIMPLE, FAST SHIPPING AND WORLD-WIDE DELIVERY.